Have you heard the word "divan"? Wikipedia says: "A divan is a piece of couch-like sitting furniture." My grandmother had a divan. With a grin, that's what I call my sofa. It's old school. I like it. Divan. 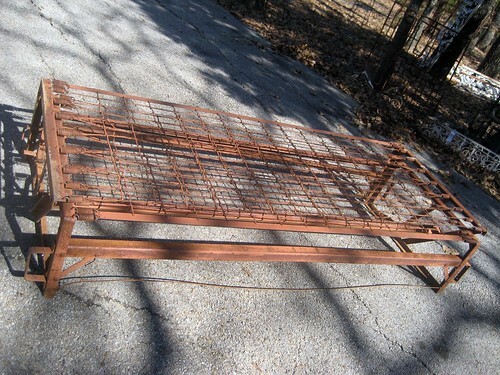 Remember the rusty cot thing I got yesterday? I'd say it's a divan. Check this out. It lays out into a bed. Now. I have to decide. 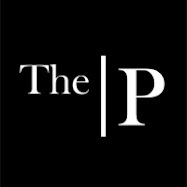 Will it remain as is, and Carolyn Westbrook or Judy Hill or Sweet Pea Collection it up with fabulous pillows and linens? Or shall I part it out for wall hangings and cheese graters? Hmmm...what would you do? Again, I ask. What would you do with it? I'd fluff it up! Would be so much fun on a covered porch! Deck that bad boy out with fluffy pillows and lounge away!!!! I say keep it as is. These are hard to find in good condition. Yep, the "divan" was in the living room and the couch was in the den.I love floofy. Linen it up! Fluff it, plump it and make it your own! It is too cool to take apart and use for parts! Cool find! That *is* pretty neat. Sounds like the consensus so far is dress it up. I was like you and couldn't decide. But I think everyone is on the right track. Mother always called our sofas "divans" and the end tables "commodes" which would crack us up! She was so foo foo. To me, I'd call it a "hired hand's" bed. Doesn't that sound cool? I'd probably put a ticking mattress on it and tons of pillows. I'd make the bed and add lots of pillows, but I guess the point is to sell stuff. So, if you can sell it by parting it out, I would do that. Keep it like it is! Very cool, would be neat on a porch! Oh please, pretty please do fluff it out first, then if you tire of it, you can always take her apart. I say... maybe fluff it up in red something (or burlap?) and put square stuff... like a couple of old heaters or radiator covers or some paint-by-numbers or something as the "throw pillows"... just because that would be fun! LOLOLOL And then you could make it it's own "coffee table" out of.... i don't know... a mechanics cart. yeah. I can't wait to see what you decide!!! I would fluff it up and fill it with pillows. My Grandmother called it a divan...have not thought about that in years. She also called earrings "Ear Bobs" or "Ear Screws". We also did not have lunch, we had dinner. The evening meal was supper. Wow, you have me reminiscing now. I also vote that you use it as a divan and fluff it up. I would love to sit and chat at Zap Hall. I am already getting excited about our spring trip! maybe its a trundle bed. 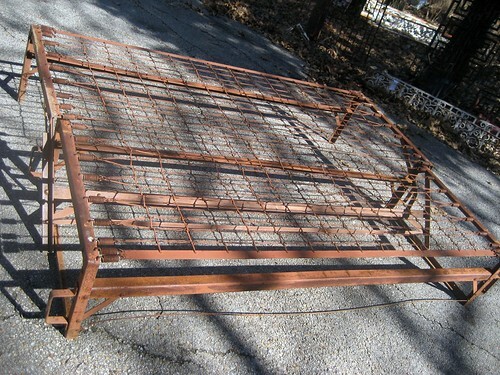 According to my mother, a trundle bed has enough room between springs to allow for a mattress. This piece does not have such space. Pillows and linens and all manner of soft, squishy stuff to make it all comfy. Yes most of the trundles I've seen in my work as a helper at B&B's have space for the mattress when it is folded up underneath the bed. That was my first thought also. I like the divan I think there are probably not so manny like this anymore so keep it as a divan please ;) I want one when I am able to get one for my front screened in porch.